Colectica is able to generate a paper questionnaire specification based on your survey design. Questionnaires can be generated in PDF format. Paper questionnaires can be used together with a data entry system to provide a complete data collection infrastructure. Navigate to a survey instrument. Click the Paper Form button. Choose an output location and other options, and click the Generate button. Your paper questionnaire will be generated. 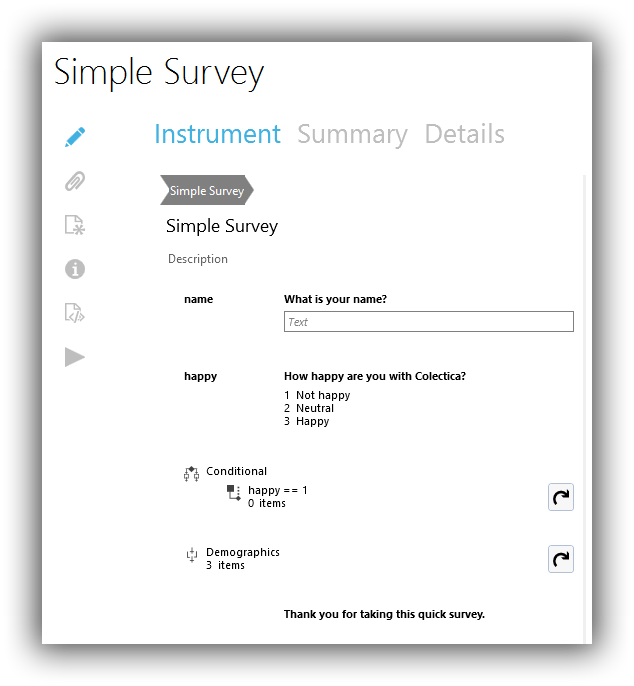 Paper questionnaires with custom formats can also be created by making a Colectica Addin. See Colectica Designer Addins for details.